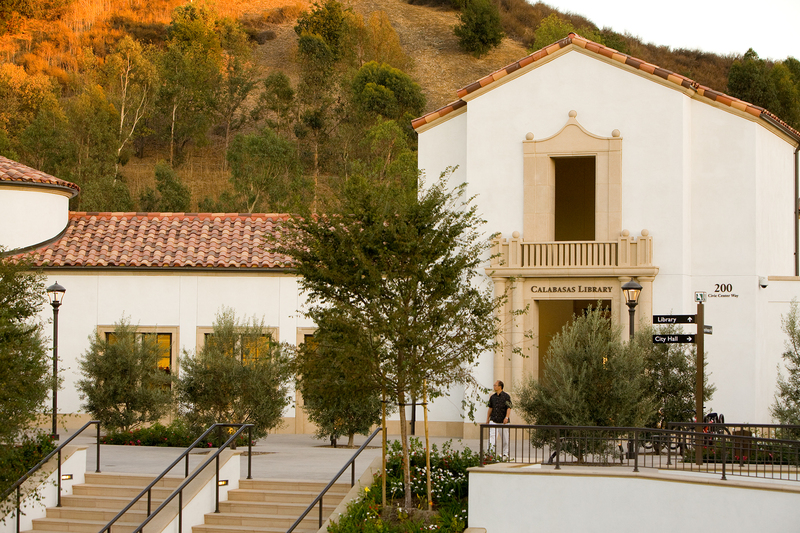 The LEED Gold certified Calabasas Civic Center features new Library and City Hall structures and outdoor public spaces including a large open plaza, rose gardens and seating areas. 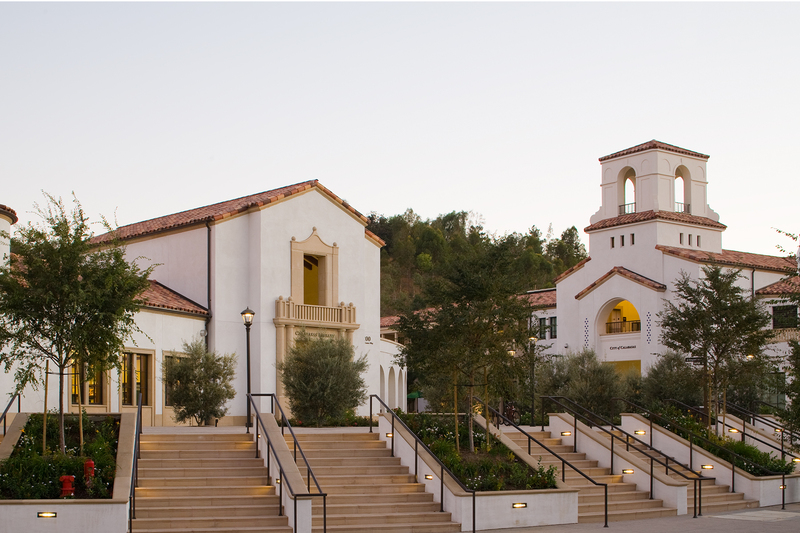 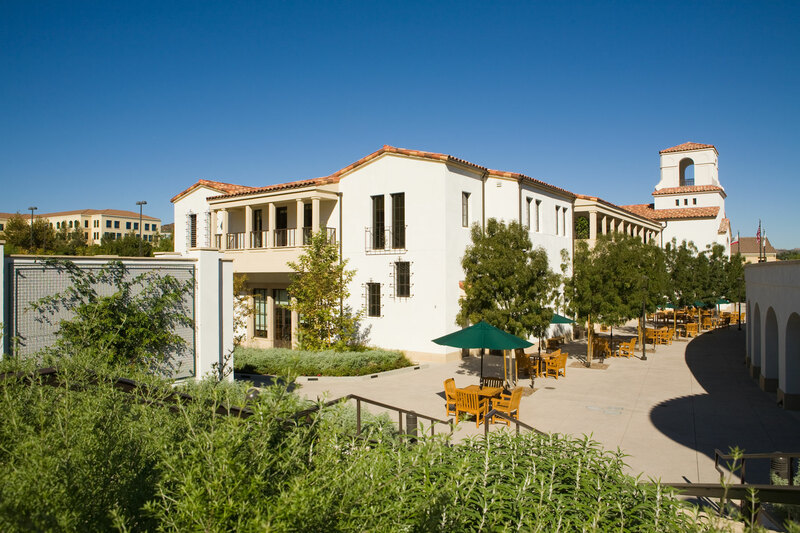 The civic buildings, designed by Robert A.M. Stern Architects with Harley Ellis Devereaux, Executive Architects, are nestled within a regionally inspired landscape, framed by the grandeur of the Santa Monica Mountains in the background. 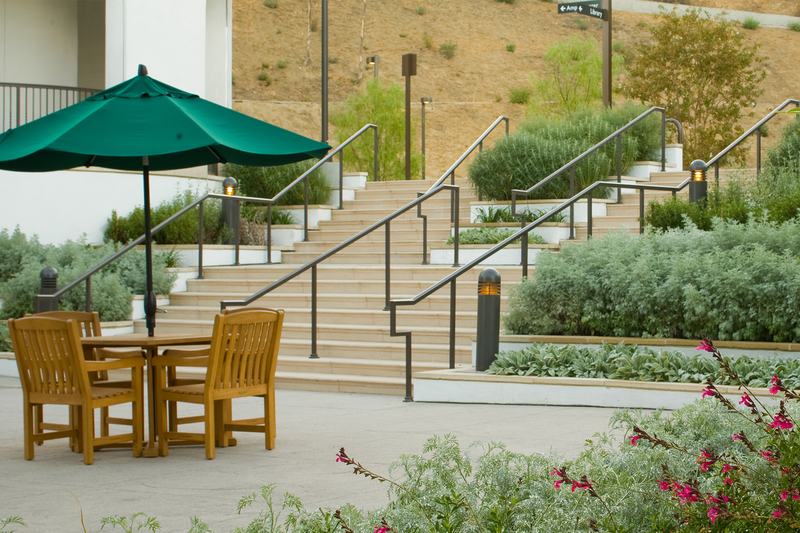 Skyline Cypress trees punctuate the long steps that rise up to the North Plaza. 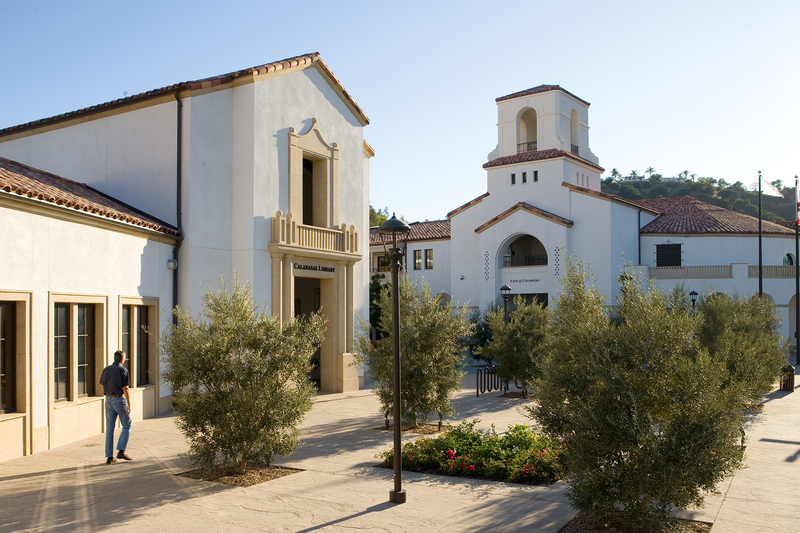 An Olive Grove, reminiscent of the agricultural heritage of Calabasas, shades the North Plaza and frames the main entry. 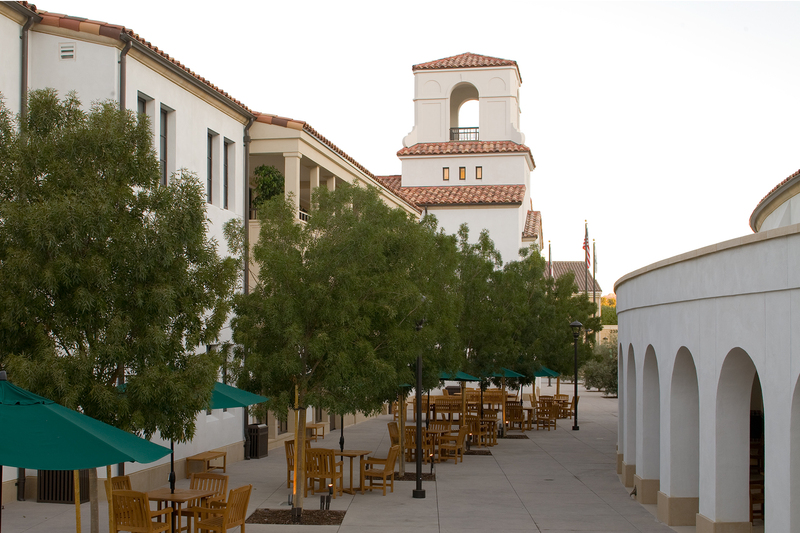 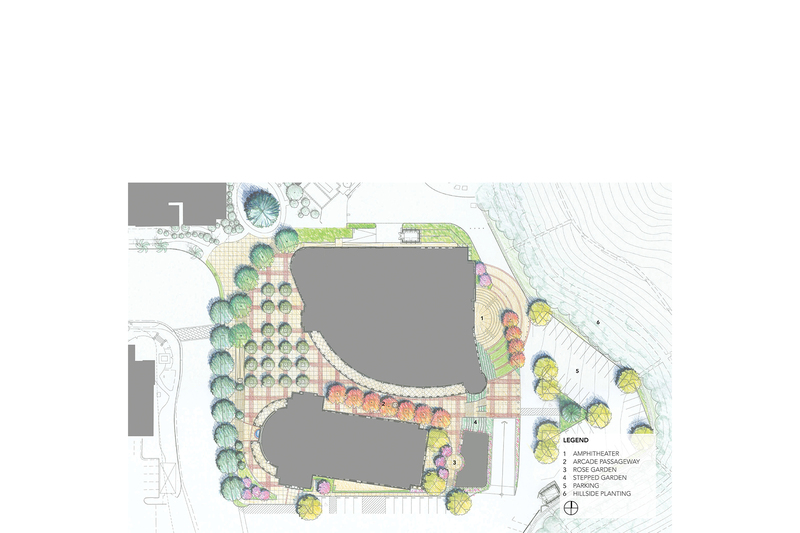 The main plaza and passage between the buildings accommodates a variety of activities including a weekly farmer’s market and community gatherings. 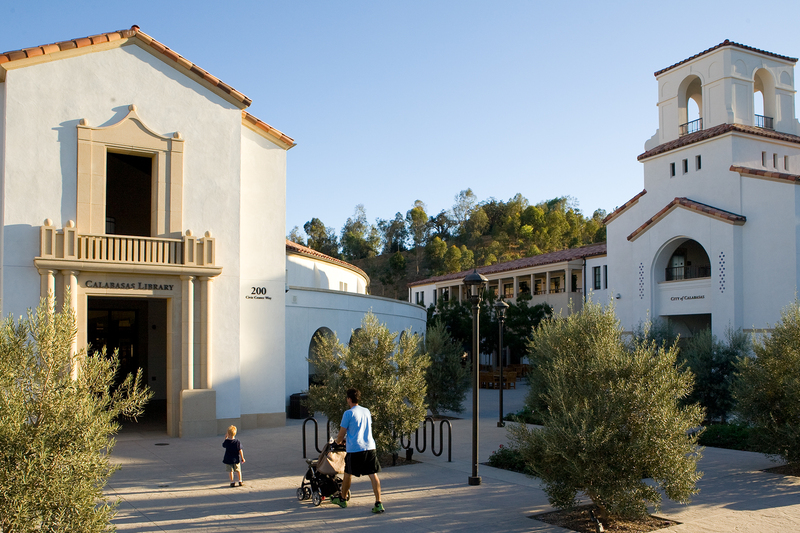 The small 200-seat amphitheater adjacent to the Library provides a place for family get-togethers and impromptu performances. 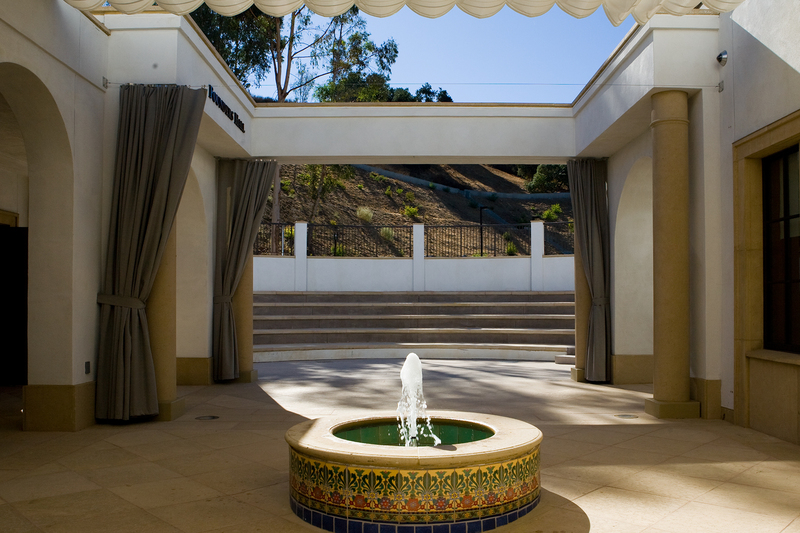 Gardens feature colorful native and drought tolerant plantings, complemented by shade trees, and a rose garden.